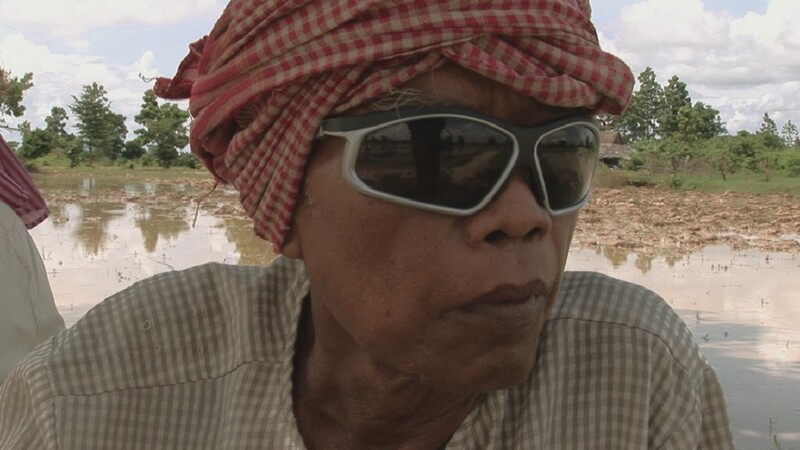 'Enemies of the People' is a documentary which, using the work of investigative journalist Thet Sambath, explores the aftermath and effects of the Khmer Rouge in Cambodia. The despotic regime which was responsible for genocide and mass famine was led by Pol Pot and the documentary features interviews with not only the foot soldiers responsible for the mass killings, but also Nuon Chea or Brother Number Two, Pol Pot’s second in command. This harrowing documentary was awarded the World Documentary Special Jury Prize at Sundance Film Festival and the Full Frame 2010 Nestor Almendros Award for Courage in Film making - Human Rights Watch 2010. Dazed Digital: How did you come to start the project? Rob Lemkin: I went to Cambodia in 2006 to plan to do a film a about the trial of the Khmer Rouge and Sambath was my fixer, my kind of local contact and researcher and realised that he was doing this project on his own which was much more interesting than anything that I was going to be able to do. DD: What was he initially trying to do? Rob Lemkin: He didn’t really know. If you go back to 1999, which was when he started, the civil war in Cambodia had literally just finished so the Khmer Rouge had really only just collapsed recently so it was still quite a dangerous and unstable place and he was trying to make contact with people because the Khmer Rouge was over and they could tell him the stuff that he had never heard for thirty years because they’d never really been able to speak before. DD: And how did things progress from there? Rob Lemkin: He gradually evolved that [process of working], thinking that maybe he could write a book about it and after about four or five years he began to audio tape his recordings with Brother Number Two, with Nuon Chea. Not because he wanted to particularly do anything with it other than the fact that any moment Nuon Chea might die and that people wouldn’t believe him that he really had been talking to this guy. DD: What was it like being in the presence of people who had been part of and committed these atrocities, been part of the Khmer Rouge? Rob Lemkin: It’s a two fold experience for me because on the one hand I’m with Sambath, who I’m making a film with and about, and because his father was killed by people like this, his mother was forced to marry one of these people and his brother was killed by people like this. It’s extremely personal. More personal than you can really imagine. So I’ve got a two-fold reaction to being with people who did this kind of stuff. DD: And it must have been encouraging to see that in another phase of life they could be ‘better’. If that‘s even the right word…. Rob Lemkin: Definitely, and I think that the remarkable thing about Sambath’s work is that he has enabled them to actually join their two lives together because what’s happened in the last 30 years is that they have separated themselves from who they were, they’ve denied everything, even their own families know nothing. Their wives know nothing and that’s not just a man woman thing. I mean the woman who we interviewed, sister Em, even with her she doesn’t talk to her husband about it - it’s something which just doesn’t get discussed, and yet it kind of sits there as a kind of terrible kind of spot on their consciousness. DD: This is obviously mainly about Sambath’s work but, as a journalist, what did you want to achieve through making the film? Rob Lemkin: I worked at the BBC for many years doing a lot of films in Asia and I made a film about somebody who was a friend of Pol Pots and knew him in the 1970s and this guy told me kind of what it was like to know Pol Pot close up and it seemed very different to what you might expect. The impression this man gave was of someone rather panicked, the phrase he used was “rabbit in the headlights”. That’s not the impression you get of the Khmer Rouge, you think of them as an evil regime that exterminated millions of people. So I wanted to speak to people who were at the heart of this country, this secret state that was just really on fire for about three years. I was interested in getting behind the mask of evil and to see who were the real people behind that mask of evil. DD: Do you think you were successful in that? Rob Lemkin: Well, I leave that for the audience to decide really. When you make a film you can say what you originally intended to do, but quite often you end up doing something completely different because the creative process takes you to different places. I would also say that I think the film is part of a bigger process, we are making a follow-up film at the moment and we’re hoping that other people will take up from Sambath’s work. And it might be a way of dealing with this history not just by us but by the whole country because it’s a new way of trying to get inside of what happened in the Killing Fields which has not been done before.